Background: The origins of Amalgamated Retailers have not been found, but they were an already established furniture business with a branch in Smith Street, Fitzroy, in October, 1940. In December, 1940, Amalgamated Retailers Pty Ltd took over 4 storey premises at 130-132 Bourke Street, Melbourne, (between Russell and Exhibition Streets) previously occupied by Cohen Bros (Home Furnishers) Pty Ltd who re-located to their new store at 286-288 Post Office Place (next to Myers). Amalgamated Retailers Pty Ltd were still located at 130 Bourke Street in 1954 before disappearing from the records. 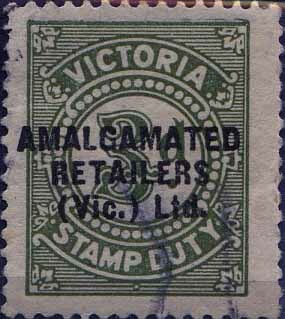 The business, now called Amalgamated Retailers (Vic) Ltd, reappears in 1956, located in Malop Street, Geelong. The company had additional premises at 274 Smith Street, Collingwood, in 1957-1958, before relocating to 48 Leeds Street, Footscray (1959-60). The company is unlisted in the directories for 1961-62, and reappears in 1963 at 235 Elizabeth Street, Melbourne. Despite claims that Anderson’s furniture business was established in 1880, the first evidence for its existence is in 1883 at 125 Clarendon Street, Emerald Hill (South Melbourne) where James Anderson, furniture, bedding and carpet warehouse remained until 1891 when the business moved to 199-201 Clarendon Street, finally occupying 255 Clarendon Street in 1902. In 1902, Anderson’s Furniture also opened at 332-336 Chapel Street, Prahran, strategically located opposite Charles Moore’s, “Reads” store, in what had been Fred Bennett’s antiques warehouse. By September, 1914, the company was trading as James Anderson Pty Ltd, (also advertising as Andersons Pty Ltd) “the economic house furnishers” at 251-261 Clarendon Street, South Melbourne, and 332-338 Chapel Street, Prahran. In early 1930, Anderson’s opened a fourth store at 190 Barkley Street, Footscray, and in 1935 another store at 198 Glenferrie Road, Glenferrie. By 1957, there were another two stores in Brunswick and Geelong. Background: *The Angus & Robertson story began in February 1882, when a young Scotsman named George Robertson started work at a Sydney bookshop just four days after arriving in Australia. Eleven months later, fellow Scot, David Angus joined the team but after two years decided to branch out on his own. In 1884 he opened his first store in tiny premises at 110 Market Street, Sydney. From this humble start, David Angus established an enterprise that was to grow in size and influence far beyond his conservative expectations. In January 1886 George Robertson joined in partnership with David Angus, investing his savings of £15. The firm of Angus & Robertson came into being. By 1895 the partners transferred to a new address - 89 Castlereagh Street, Sydney. It was to be head office for the next sixty years and at one stage was known as "the biggest bookshop in the world". 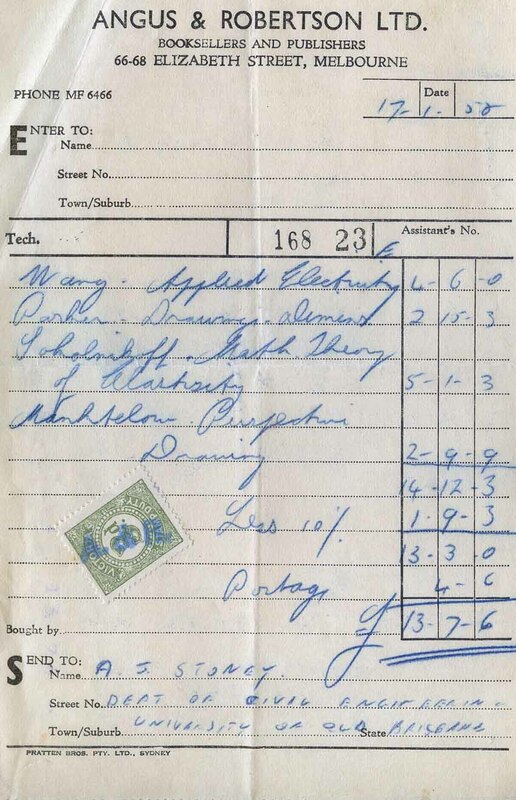 From these early days of the business A&R was involved in publishing as well as bookselling. The firm played a central role in the development of uniquely Australian literature and published many classics by authors including Banjo Patterson, Henry Lawson, May Gibbs, Norman Lindsay and CJ Dennis. In 1900 David Angus, plagued by ill health, retired from the partnership to England, where he was to die soon after. George Robertson continued the business, and in 1907 the partnership was converted into a public company - Angus & Robertson Limited. Over the next thirty years A&R continued as booksellers and stationers. The end of an era came in 1933 when George Robertson died. He had been a dominating figure in the Australian book world and was held in high esteem by all that knew and worked with him. Walter Cousins, the new Managing Director, spearheaded the growth of the company into international bookselling. In 1938 A&R opened a publishing office in London, and in 1951 a store was established in Australia's High Commission in London that was to operate for the next twenty years. In this period of growth A&R continued to acquire large and established retail bookstores in the major state capitals and in some regional centres. It became Australia's first nationwide chain of associated bookshops. From as early as 1969 an emerging global economy and international competition placed pressure on the profits of A&R. As a result the company went through some major restructures and successive owners, including IPEC in 1976 and Gordon & Gotch in 1978. The publishing division was not included in this sale and for the first time A&R publishing and A&R retail, became separate companies. In 1977 the first franchise was opened at Hurstville in Sydney, and by July of that year the company had opened eighteen new franchised bookshops around the country. With this expansion came an enhanced national marketing presence reinforcing A&R as the country's only national bookselling chain. In 1980 the A&R flagship store in Pitt Street Mall, Sydney commenced trading. The next twenty years brought growth as well as more ownership changes, including a merger with Bookworld in 1990 and purchases by Whitcoulls Group Ltd, New Zealand's dominant book retailer, in 1993 and Blue Star Group in 1996. In 1995 A&R entered a new era with the opening of its on-line store at www.angusrobertson.com.au. In 2001, WHSmith PLC, a large UK based retailer, purchased A&R and proceeded to make a significant investment in its continued development and growth. In May 2004 A&R and sister company Whitcoulls in New Zealand were acquired from WHSmith by the Australian Investment company Pacific Equity Partners. In 2009 Angus & Robertson, Whitcoulls and the operations of Borders in Australia, New Zealand and Singapore came together under the banner of parent company RedGroup Retail. When RedGroup Retail went into administration in early 2011, the bricks and mortar company stores were closed and the franchise stores were sold, as was angusrobertson.com.au which is now owned by a new iteration of Bookworld, which also owns borders.com.au and is a division of the Pearson Australia Group. Background: Hastings Cuningham was born in 1825 in Calcutta and educated in Scotland. In 1842, aged 17, he went to Port Phillip, where with his brother or in conjunction with other people, or alone, he leased a number of pastoral runs until September, 1862. Between 1869 and 1873, Cuningham held Murrabit station with his business partner, John Kayne Smyth. He also owned land in Mount Gambier and the Mallee. William Macredie was born in 1813 on the Isle of Arran. In about 1833, he established the first successful insurance agency in Trinidad, for Phoenix Fire Insurance Co., finally leaving for Victoria in 1850, where he joined his four brothers who were early squatters. Macredie looked after the extensive business interests of his cousin Archibald Cuningham, Victoria’s first unofficial agent-general in London. On Archibald’s death (1856), Macredie became manager of the Australasian Insurance Co., resigning in 1863. In 1862, Hastings Cuningham entered the wool-broking business as Hastings Cuningham & Co., taking William Macredie into partnership in 1863. The formation of Cunningham & Macredie as wool brokers, woolstore owners, and stock and station agents was a turning point for Australian wool marketing. The company provided a local market instead of sale on consignment in London and provided financial facilities unavailable through the banks. Hastings Cuningham would also champion the export of refrigerated meat, being involved in the first successful shipment in 1879-80. 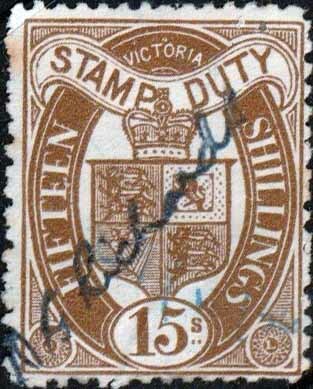 Additional partners were admitted in 1868 and in 1878 the firm became a limited company. In 1880, Cuningham went to Britain seeking capital. The outcome was the establishment of Australasian Mortgage and Agency Co. Ltd with a capital of £1,000,000, two-thirds of the shares being reserved for allocation in Australia. The central office was in Edinburgh, while the Australian office was located at The Australian Wool Stores, Collins Street West, with a Sydney office at 45 Pitt Street by June, 1881. In 1903, the company was wound up, leaving a considerable balance for the shareholders, Australian Mortgage Land & Finance Co. Ltd acquiring the “liquid business” of wool and produce by mid-1904. 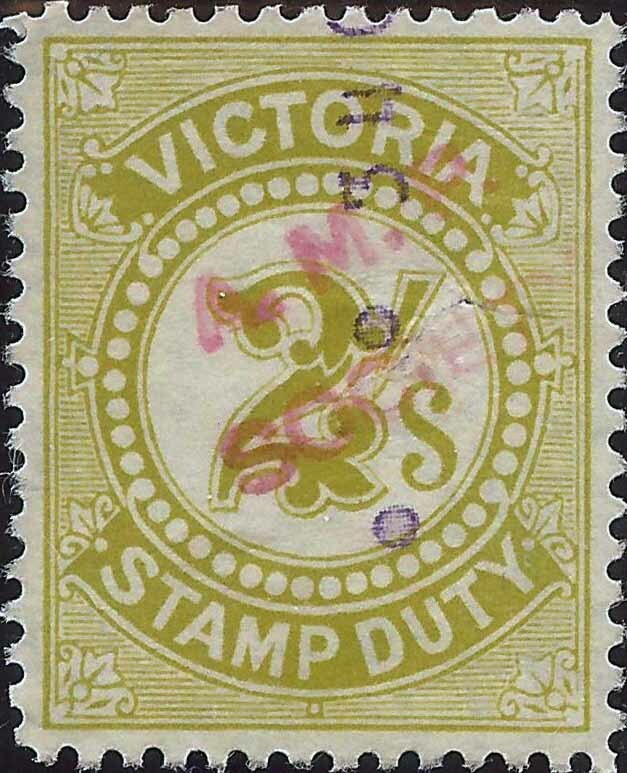 Australasian Mortgage and Agency Co. Ltd continued trading, but in August, 1908, all business was transferred to Sydney. The company’s “massive and capacious” 4 storey brick warehouse at 574-576 Flinders Lane, Melbourne, earlier occupied by Australasian Mortgage and Agency Co. Ltd was sold in December, 1909. In early 1911, the company was repaying 20% of its preferential stock; in October there was a capital return on 70% of preferential stock; finally in November a meeting was called “for the purposes of liquidating” the remaining stock. By April, 1913, the liquidator reported in Edinburgh that the whole of Australasian Mortgage and Agency Co. Ltd assets had been realized. William Macredie died at South Yarra in April, 1891. Hastings Cuningham died at St Kilda in September, 1908. 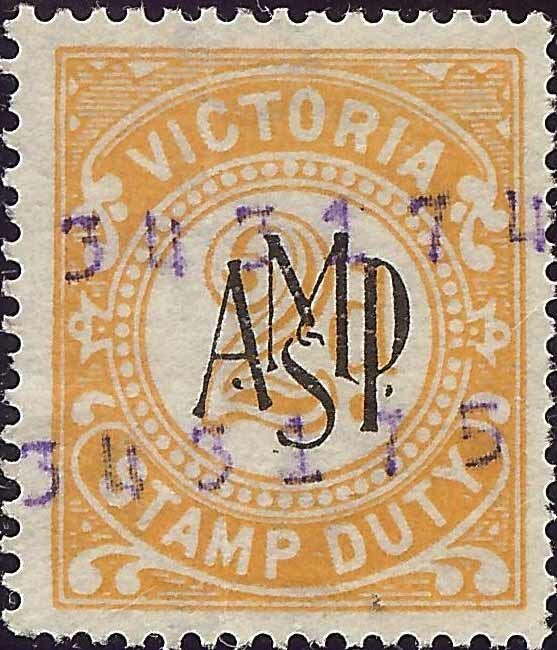 Background: *The Australian Mutual Provident Fund (AMP) was founded in Sydney in 1849 under the recently passed “Friendly Society Act of NSW” for the provision of Life Assurance products. The AMP grew steadily opening a Melbourne office in 1863 and a Brisbane office on the corner of Queen and Edward Streets in 1898, as well as opening offices in New Zealand. Growth continued by the early 1900’s AMP had become the dominant provider in Australia and New Zealand. AMP continued to focus on Life products but in 1958 they created AMP Fire and General. In 1989 they acquired Pearl Assurance and some other small insurers in the United Kingdom but these were later sold in 2003. In 1998 AMP demutualised and listed on the Australian Stock Exchange as AMP Limited. *History of the AMP – Geoffory Blainey 1998.